The BlackHawk S.T.R.I.K.E. 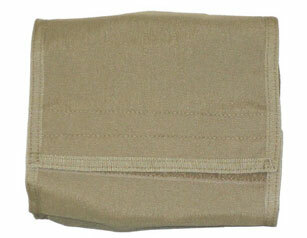 will accept all MOLLE compatible pouches/pockets. The STRIKE GEN-4 system pouches/pockets are compatible with the SPEAR Systems, AIRSAVE Aviators Survival Vest, Marine MOLLE, Full Spectrum Battle Equipment System (FSBE), RAV Body Armor System, and the INTERCEPTOR Vest. Not only does this system allow you to configure a setup designed specifically for your day-to-day operations but it will also enable you to reconfigure a.s.a.p. for dissimilar missions. On top of all that it also carries BlackHawk's Lifetime Guarantee. Manufactured with our Exclusive NYTANEON 1000 D materials IVS Molded panels and backed with our LIFETIME GUARANTEE.